We hope that your celebrations are filled with every joy, blessing and good cheer . 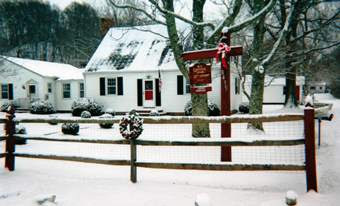 . . and maybe even a cup or two of egg nog! December BookBub promotion: The Captive Heart – Free! Happy holidays, everyone! Tis the month to make merry. 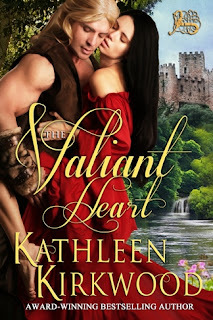 . . And, to make your month merrier, Mr. KK and I are offering the third e-book of the HEART series, The Captive Heart, for free from December 10th through December 14th, available only on Amazon. 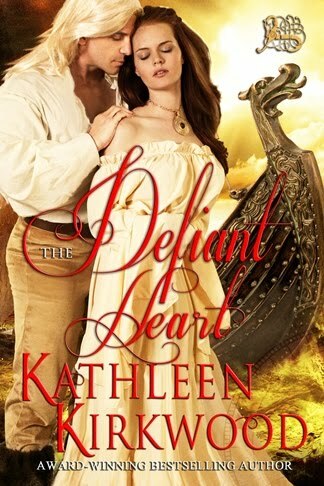 Also, to ensure that you didn’t miss the first two books of the series, The Valiant Heart and The Defiant Heart will be specially priced at 99 cents for the same period. A maiden of Normandy, mistakenly abducted . . .
Kidnapped from the ducal palace of Rouen, Ailénor quickly realizes her captors’ mistake and the peril that yet threatens her mother. As the ruffians smuggle her aboard ship, bound and gagged, and set forth for Ireland, she is desperate to escape . . . unaware her champion is near at hand. A Saxon lord on a secret mission for his king . . .
No sooner does Garreth of Tamworth arrive in Normandy than he encounters the entrancing scarlet-haired maiden who literally knocks him off his feet. But their stolen moments and budding passions end abruptly when his audience with the Duke concludes badly. As he departs Rouen, little does he realize that the beautiful Ailénor lies hidden aboard, just beneath his feet. Now only he can save her from family enemies returned from long past, seeking revenge . . . Yet amid the darkest danger, their all-consuming love is forged . . .